New Delhi: Several film personalities like Lata Mangeshkar, Asha Bhosle congratulated veteran lyricist-filmmaker Gulzar today for being named for the prestigious Dada Saheb Phalke award, the highest official recognition for film personalities in India. 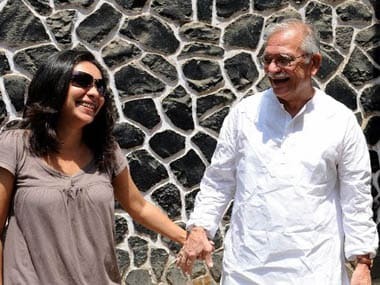 Filmmaker Meghna, the only daughter of the famous lyricist and actress Raakhee, led the congratulatory messages saying she is proud of being Gulzar's daughter. "Dadasaheb Phalke award for my father. So proud! Gulzar," Meghna tweeted. Melody queen Lata Mangeshkar, who has collaborated with Gulzar in several songs like 'Is Mod Se', 'Tere Bina Zindagi Se', 'Beeti Na Bitai Raina' and 'Tujhse Naraz Nahin Zindagi', said she is very happy to receive the news of the award to be bestowed on the 79-year-old lyricist. "Namaskar. Director, writer and poet Gulzar sahab has been today chosen for the prestigious Dada Saheb Phalke award. My heartiest congratulations to him. My most favourite song written by him is 'Naam Gum Jaayega' from the 1977 film 'Kinara'," Mangeshkar posted on Twitter, along with a link of the song. Veteran singer Asha Bhosle, said, "Congratulations to Gulzarji for getting Dada Saheb Phalke Award." The 80-year-old singer has sung several songs written by Gulzar like 'Mera Kuch Saaman', 'Roz Roz Ankhon Tale', 'Katra Katra' among others. Singer Rekha Bhardwaj along with her filmmaker husband Vishal Bhardwaj has collaborated with Gulzar in many films and she couldn't contain her excitement and took to Twitter to congratulate the lyricist, who she fondly calls 'baba'. "He very well deserves it. I feel divine love for him. For me he is like my father, friend, guide everything. He tells me I am his daughter. 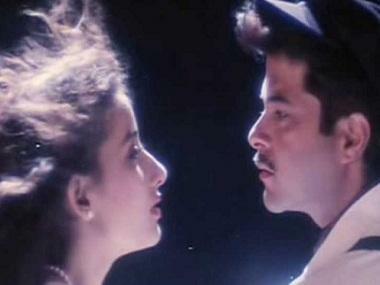 Gulzarji has always encouraged me a lot in my career," Rekha told PTI. Rekha has crooned several hit songs penned by Gulzar like 'Namak Isq Ka', 'Raat Ke Dhai Baje', 'Hamari Atariya' among others. Actor Anupam Kher congratulated the lyricist by tweeting his Oscar-winning song 'Jai Ho'. "Jai Ho, Jai Ho, Jai Ho. Gulzar gets Dada Saheb Phalke award," he said. Actor Prakash Raj, known for his villainous roles in films like 'Singham' and 'Dabangg 2', said, "Phalke award got honoured by being bestowed to our Gulzar Saab... Proud and indebted to you Gulzar Saab for everything you have given us," he said. Filmmaker Madhur Bhandarkar, a self-confessed fan of the veteran lyricist, congratulated him saying, "As one of his biggest fans, I am simply overjoyed to know that Gulzar saab has been conferred the Dadasaheb Phalke award! Take a bow, Sir."